Whether it’s tea, coffee or wine, the natural landscapes of plantation and vineyard regions across the globe are mesmerizing! After much debate, we’re pleased to unveil our short-list for the EnchantingTravels world’s best plantations and vineyards. Always keen to discover lesser-known gems, we couldn’t help but share our favorite off-the-beaten path destinations too. Just a 45 minute journey from Cape Town lies stunning scenery: mountain slopes brimming with fertile vines that create some of the world’s finest wines. Wine lovers will enjoy a stay in the pretty town of Franschhoek (translated as “French corner”), which is tucked between three towering mountains. Stay: La Petite Ferme for an intimate and memorable experience where you can enjoy cellar tours by day and gorgeous sunsets by night. Resting on the majestic Middagkrans Mountain, this is an award-winning boutique winery that uses artisanal, hand-crafted methods and the wisdom of the native terroir. You might find it strange that cacti are part of the natural landscape within Argentina’s renowned winegrowing region – yet they are! 1,700 metres above sea level, the village of Cafayate provides a fusion between its mysterious rock formations and mountain landscapes and the simple delights of its regional delicacies. The wine industry is in the blood of both the people and land and a private excursion to sample a glass or two in a local bodega (winery or wine cellar) provides delight for sommeliers and amateur enthusiasts alike. Whilst Mendoza might be Argentina most famous wine-growing region, Cafayate provides an experience more off-the-beaten path. Stay: Patios De Cafayate for unquestionable luxury with spa facilities. 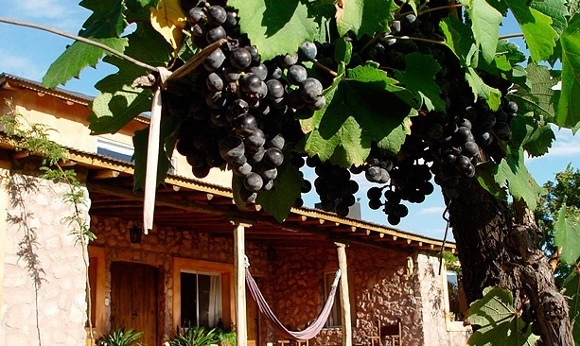 Or try Viñas de Cafayate, located in the midst of vineyards with its very own bodega. Where will you enjoy your next cosy pot of tea? Overlooking a sea of lush green plantations perhaps? The Hill Country of Sri Lanka is a renowned region with its cascading crystal clear waterfalls and dramatic, breathtaking views. 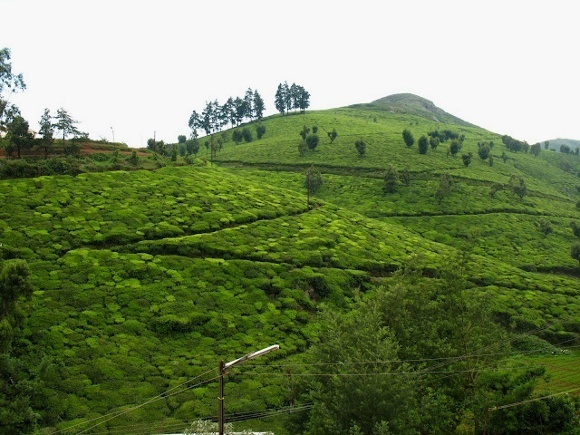 As you wind through these rolling hills, it’s hard not to recall that this is the original birthplace of Pure Ceylon tea. 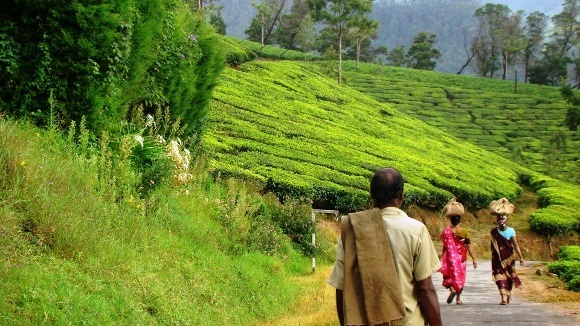 Enjoy treks to World’s End and Adams Peak for truly natural panoramic experiences. Stay: Tea Trails for classical colonial bungalow style within tranquil gardens and provides opportunities from the art of tea-making to more adventurous activities such as white water rafting and biking or trekking. For a glimpse back to the tea industry then stay at the Tea Factory, a converted factory that still houses relics of original machinery used under the British Raj days. Within the northern region of Kerala you’ll discover a plantation paradise. Most famed as a region for growing coffee, you can also witness the production of areca nut, cardamom, pepper, cocoa, spices, vanilla and even tea. Wayanad is an aromatic haven for relaxing in and with surrounding jungle walks and various trails, it can take your breath away in more ways than one. Stay: Whether it is within the treetops or in a spacious room, Tranquil is the perfect welcoming homestay hidden within the rolling hills of the biodiverse Western Ghats. Mealtimes offer traditional and delicious Kerala cuisine served on banana leaves, whilst cocktail hour is a great time to chat with other guests! Or experience a couple of nights in true Swiss tent style at Grassroots, also with scrumptious Kerala food. Both offer relaxation with Ayurvedic spas. Not far from Ngorongoro Crater and the incredibly frequent wildlife sightings of the Big Five (lion, buffalo, rhino, elephant, leopard) and the Masai people lie Tanzania’s rolling coffee fields. Welcome to Karatu! Observe the extraordinarily aromatic process of the coffee being turned from raw bean to finished product. Stay: Plantation Lodge for unwinding in luxury and a really personal touch. Be pampered by staff and mesmerized by enchanting views from flowering gardens or simply enjoy the colorful birdlife from your own verandah. Not far from Santiago (just an hour and a half’s drive) is the home of Chile’s increasingly popular Carmenères that are just waiting for you to taste them. Between the gorgeous panoramic views of the Andes and the Coastal Cordillera hills, it’s here that you can enjoy tours of the Apalta vineyard for out of this world Chilean wine experiences. The grapes are a labour of love as they are 100% gravity-fed, night hand-harvested and arduously de-stemmed by hand. 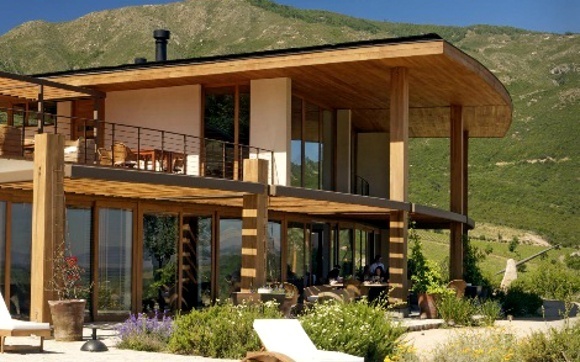 Stay: Clos Apalta Residence for the best wine hotel in Chile. Part of the Clos Apalta winery, the hotel is nestled into the native forested hillside of the valley and has just four suites. There’s no better place for enjoying a world-class icon wine such as Clos Apalta than in its home! Known fondly as the “Queen of the Hills”, Darjeeling, a Himalayan city within West Benga offers a quintessentially British grace. Since the mid-19th century when the first extensive tea plantations were founded, Darjeeling developed various hybrids of black tea that has led to the distinct “muscatel” flavor of Darjeeling’s orthodox black tea. With superb agro-climatic conditions Darjeeling boasts a flourishing tea industry that now produces 7% of the country’s total output. You’ve got the incredible mountain views of Kanchenjunga. Then there’s one of the last remaining old miniature steam locomotives in the country – the Darjeeling Himalayan Railway. As it chugs through the rolling mountains to one of India’s most renowned hill stations, Tiger Hill, this is an unforgettable experience. 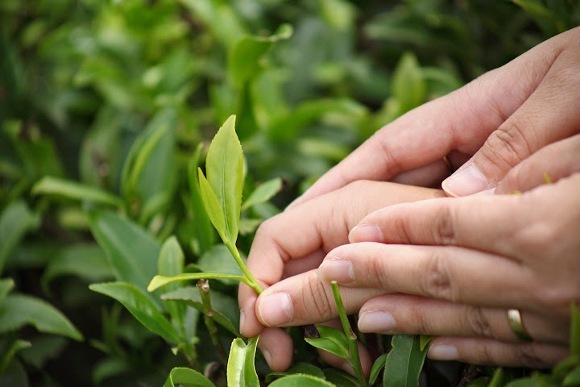 Stay: Glenburn Tea Estate for an opportunity to go on tea tours around a fully-functioning tea plantation and factory as well as for tea tasting sessions. It’s also a wonderful location for nature lovers to walk through tropical forests, as well as fishing on the local river Rungeet. Or try New Elgin Hotel, a charming heritage hotel that has a taste of the old British India with crackling log fireplaces and Burma teak furniture. A perfect climate for cultivation, you’ll find Kericho is the heart of Kenya’s tea plantations. Undulating carpets of green tea bushes stretch out into the distance. When you travel further onwards to the Nandi Hills you’ll be mesmerized by the valley views. Some days you can even see Lake Victoria! A tour of the tea plantations, golfing or trout fishing in the local river are just some of the activities you can enjoy in this natural retreat. With each daily afternoon rainfall you can pass the time looking down onto the high-rise sugar canes, traditional huts and tin roofed houses of rural village life. Stay: Kweisos House or the “place of palms” for a 1920s experience on this 3,000 acre estate. Offering home grown, farmhouse cuisine this is a traditional stay where you can enjoy everything from bird watching and walking to fishing and cross-country horse riding! Explore the most popular vineyards and wine cellars of Argentina close to the tranquil city of Mendoza. With the high peak of the Andes Mountains towering over you can visit three wineries and enjoy the oldest vines of the country. You can see the full process of the winemaking and sampling along the way from both common table and internationally renowned wines of varying vintages. Stay: Finca Adalgisa for an early 20th century manor house and estate experience right in the heart of the vineyards. Or try Club Tapiz that provides a charming fusion of contemporary and antique style in this French family winery. High altitudes and closed canopies of mountainous tropical rainforest provide a wonderful array of flora and fauna, large mammals and primates at Nyungwe Forest National Park, as well as opportunities to walk through tea plantations on your Rwanda trips. Stay: Nyungwe Forest Lodge, for a tea plantation experience right on the edge of this biodiverse landscape. When you’re not enjoying a relaxing brew, you can be out chimpanzee trekking or spotting other primates and the wonderful waterfalls and swamps of the forest. 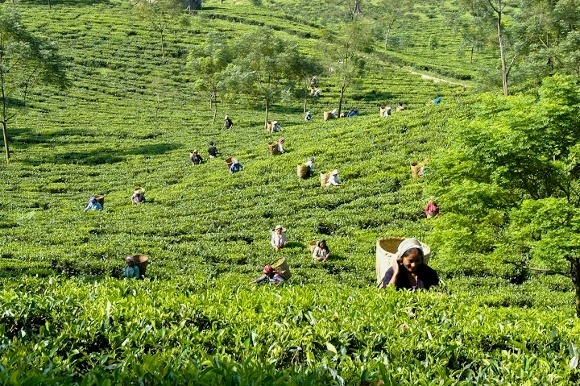 Hill stations found their popularity during the time of the British Raj – and Munnar was no exception with its surrounding plantations growing tea, coffee and even cardamom. Where three mountain streams meet, the inviting climate of Munnar provides an incredibly tranquil and natual experience within the Western Ghats. Delight in gentle hill or mountain treks as you breathe in fresh air or go boating, angling or riding. Stay: Indulge in the opulence of the Windermere Estate. Step into a picturesque scene with Malawi’s lesser known vibrant green tea estates, purple blossoms of the country’s signature jacaranda trees and incredible views of the trekking paradise of Mount Mulanje that shimmers in the distance. The Shire Highlands tea estates from the former colonial days provide ample opportunities for tea sampling sessions or lazy afternoons. Tea aside, if you are looking for more activity then you also have opportunities to go bird watching, walking or mountain and quad biking. Discover your own favorite plantation and vineyard experiences with us. Design your tailor-made trip of a lifetime now!